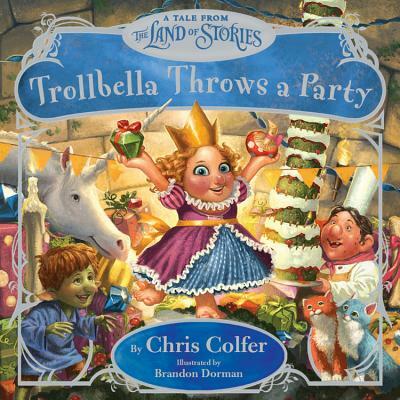 Celebrate Queen Trollbella's birthday in this companion picture book to Chris Colfer's #1 New York Times bestselling Land of Stories series. It's Queen Trollbella's birthday and she's throwing herself an epic celebration. She has everything a troll girl would want: musicians, magical creatures, carnival rides, a gigantic cake, and more. So why isn't she having any fun? Trollbella knows something is missing. When she meets a goblin boy sneaking into her party, Trollbella decides to share her party, and she discovers that a happy kingdom and learning to give back is the best gift she could've ever received. This enchanted tale about the importance and the joy of sharing will be a must-have for Land of Stories fans, younger siblings, and new readers alike.